It wouldn’t be a party without the fun die cut assortment found within the Sprinkled Confetti Cupcakes Die! Pair with the coordinating cling stamp set to create party themed accents ready to celebrate friends and loved ones! Heavenly frosted cupcakes draped in rich icing, numerical die cuts, and party hat accents are perfect for creating dimensional, enticing bakery themed party invitations, delightful birthday cards for all ages, as well as embellishing those celebratory scrapbook pages! 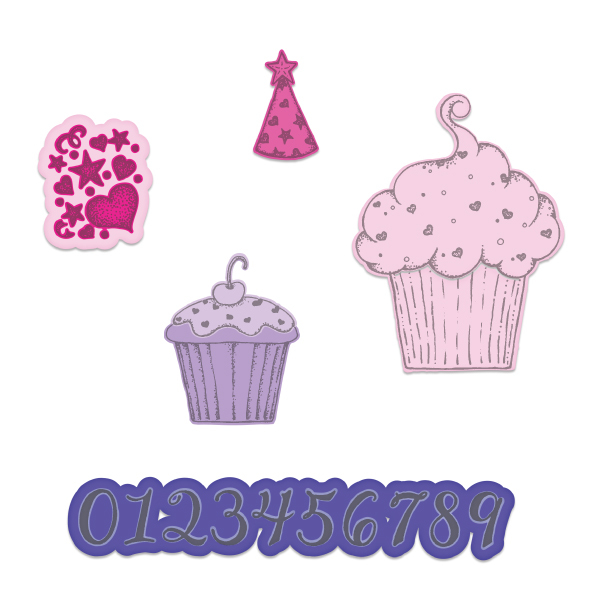 These dies are part of the Sugarspun Collection and pair with the Sprinkled Confetti Cupcakes Cling Stamp Set.